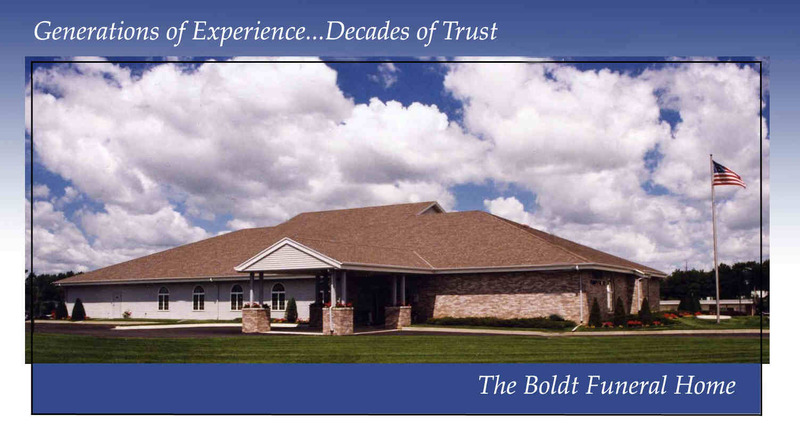 Visitation: Boldt Funeral Home on Thursday from 5 to 7 p.m.
Trinity Lutheran Church on Friday from 10 to 11 a.m.
Marilyn M. (Mrs. Ralph) Palmer, age 85, of Faribault, died on Saturday, March 3, 2012 at Milestone Communities of Faribault. A memorial service will be held at Trinity Lutheran Church, Faribault, on Friday, March 9, 2012 at 11 a.m. Interment will be at Fort Snelling National Cemetery, Minneapolis. A memorial visitation will be at the Boldt Funeral Home, Faribault, on Thursday, March 8, 2012 from 5 to 7 p.m. and also at the church for one hour prior to the service on Friday. Marilyn M., the daughter of Medford and Dorothy (Kujath) Peck, was born on February 15, 1927 in Dover. She married Ralph A. Palmer on February 15, 1946 at Trinity Lutheran Church, Faribault. He preceded her in death on March 11, 2006. In addition to being a housewife and mother, Marilyn also worked as a bookkeeper in several different offices in Faribault. Marilyn was a longtime member of Trinity Lutheran Church and served on many school and church committees and organizations including being a proud member of the Trinity pie makers. She was an avid bridge player, loved golf and an active member of the Faribault Senior Center. 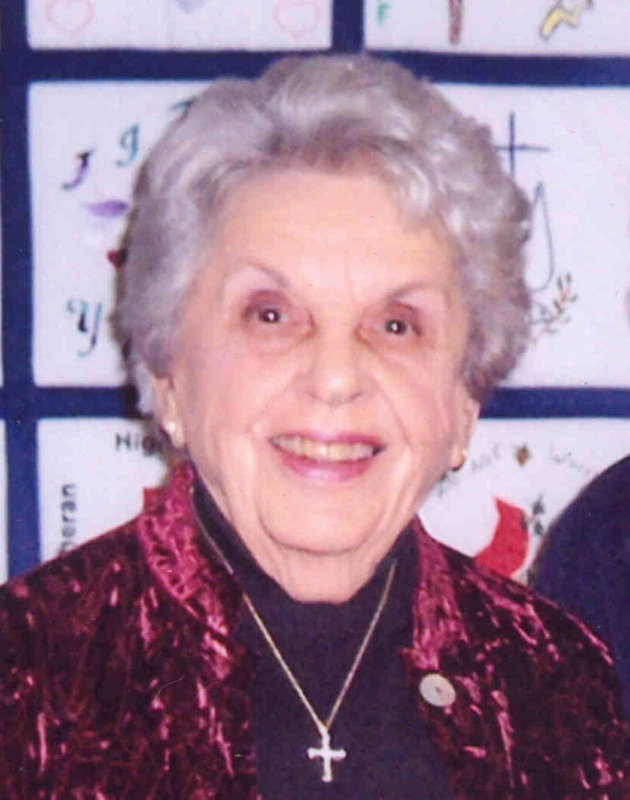 She was a lifetime member of the District One Hospital Auxiliary and served as its first president. She enjoyed traveling with her husband, daughters, Seniors and Red Hats. She thoroughly enjoyed spending time with her daughters and their families. 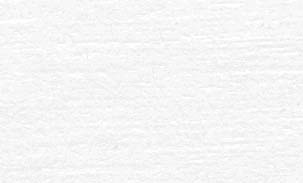 She was preceded in death by her parents; her husband, Ralph; one daughter, Lynne Marie; one daughter in infancy, Patricia Jo; and one brother, Merle "Bud" Peck. Faribault was a better place with Marilyn as a resident. She was a wonderful person and a trusted friend. Marilyn will be missed by many people. God bless her and her loving family. So sorry to hear of your loss. I still treasure the blanket she made for me! My thoughts and prayers are with you your family. Thinking of you at this difficult time. I remember your Mom so vividly! She was always so kind to us "Janes kids"........ even after I put a whole egg in her microwave and it exploded all over (I think I was babysitting Kristen and Scott at her Country CLub house!). The Janes' family is thinking of you and remembering Marilyn with fondness. I fondly remember your family. Please know that you are in my prayers. Blessings to you all. I will always remember sitting with your Mom at an open house for Amy. After chatting for awhile I really hoped she would adopt me so that I could call her Mom too! She was a delight!